How did Tom Hardy become an action star? We could say two words: Fury Road. But in truth, the star’s road to tough-guy icon status took a lot more than one movie. 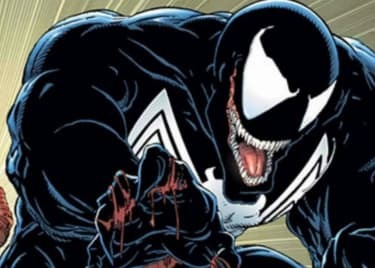 When Sony’s new set of Spider-Man offshoot movies kicks off with Venom this week, we’ll see Hardy as a journalist given powers by a dangerous alien creature. The story is just the latest stage of a wild ride that has pushed Tom Hardy from the modeling world to the upper echelon of action stardom. Let’s take a look back at his rise. Hardy kickstarted his career as a model before landing a part in HBO/BBC miniseries Band of Brothers, which led directly to his film debut, Ridley Scott’s Black Hawk Down. The military movie wasn’t his real big, break, however. People started to take notice when Hardy played a villainous clone of Captain Jean-Luc Picard (Patrick Stewart) in the 2002 film Star Trek: Nemesis. The movie is… not great. But that’s not Hardy’s fault, and the role was a boost to his career. Soon after, he landed supporting and minor roles in films such as The Reckoning, Marie Antoinette, Layer Cake, and Flood. At the same time, he continued to score primary gigs on British television, starring in BBC miniseries The Virgin Queen and Oliver Twist, as well as headlining TV films A for Andromeda and Stuart: A Life Backwards. After appearing in Guy Ritchie’s mob comedy RocknRolla, Hardy landed his first major leading role, playing real-life prisoner Charles Bronson. The 2008 film Bronson unleashed the actor and he made the most of the opportunity, snarling and brawling through the role — but also bringing a real sincerity to the part. The success of Bronson also took any remaining shackles off Hardy’s career. He went on to score significant roles in Tinker Tailor Soldier Spy and Inception, the latter of which earned him BAFTA Rising Star Award. Inception is also notable for kick-starting his working relationship with director Christopher Nolan, who would soon cast Hardy in two more movies. In the midst of his mainstream success, Hardy still made time for roles on British television. He headlined miniseries The Take, and even starred in an adaptation of Wuthering Heights. Following this, he bounced back to Hollywood and picked up right where he left off, landing lead roles in the sports drama Warrior and comedy This Means War. All of which was priming Hardy for true action stardom. When Christopher Nolan turned back to the actor, it was to play the super-villain Bane in The Dark Knight Rises. His imposing performance and memorably strange vocal delivery turned the character into a unique personality whose image has been perhaps even more significant than that of the film itself. In 2015, Hardy did an action-adjacent picture, the crime film Child 44, and played both of the criminal Kray twins in the larger-than-life biopic Legend. At the same time, he joined BBC’s crime series Peaky Blinders as gang leader Alfie Solomons. And then we come to Fury Road. This situation is more complicated than it looks, however, as Hardy’s shoot for the fourth Mad Max movie took place mostly in 2012, between shoots for Lawless and Child 44, with some extra shooting later in 2013. Regardless, the 2015 release blew the doors off movie theaters. Audiences and critics alike responded to writer/director George Miller’s intense and unrelenting vision. Hardy and his on-screen partner Charlize Theron didn’t always get along while shooting, but their personal disagreements translated great on screen. At this point we could just list a whole set of solid follow-up roles for the actor, but two are important. He scored his first Oscar nomination for a supporting role in The Revenant. And Christopher Nolan cast him a third time for a pivotal role in the World War II story Dunkirk, in which Hardy dominates some of the most emotionally moving moments. Now it’s time for Venom. 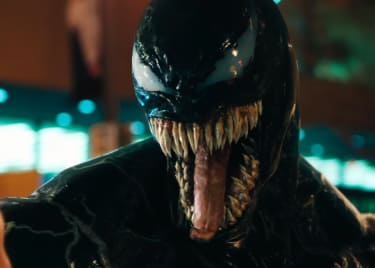 Sure, Hardy is acting opposite, or underneath, a CGI sheath that gives his on-screen alter-ego some pretty impressive powers, and a monstrous tongue. But that character doesn’t work without a masterful actor underneath all the effects. 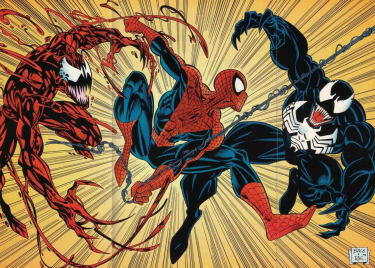 If anyone can tame the Venom symbiote, it’s Tom Hardy. 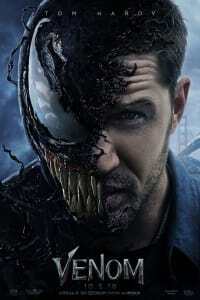 See Venom beginning October 5!